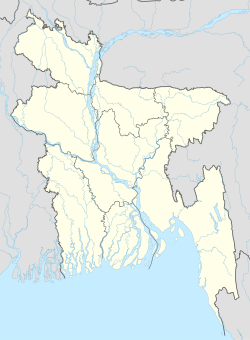 The 2013 Bangladesh Premier League season, also known as BPL 2 or Prime Bank BPL 2013 (for sponsorship reasons), was the second season of the Bangladesh Premier League, established by the Bangladesh Cricket Board (BCB) in 2012. The tournament began on 18 January 2013 and ended on 19 February. The competition featured seven teams, with the addition of the Rangpur Riders. Dhaka Gladiators became champions again by beating Chittagong Kings by 43 runs in the final. This season did not include any Pakistan players as the Pakistan Cricket Board refused to release the 27 players sold at the auction in retaliation to Bangladesh cancelling their international tour of Pakistan over safety issues. Most of the matches were held at the Sher-e-Bangla Cricket Stadium in Dhaka. For the first time, matches were played in Khulna at the Sheikh Abu Naser Stadium. MA Aziz Stadium hosted the matches in Chittagong, instead of Zohur Ahmed Chowdhury Stadium, which hosted the tournament in the first season. Note: Rajshahi qualified for the fourth position, due to head-to-head record against Rangpur and Barisal. Jubair Ahmed from Barisal Burners and Bishawnath Halder from Sylhet Royals made Twenty20 debut. Sylhet won by 6 wickets. Duronto Rajshahi won the toss and elected to bat. Sylhet Royals won the toss and elected to field. Rangpur Riders won the toss and elected to field. Barisal Burners won the toss and elected to bat. Duronto Rajshahi won the toss and elected to field. Dhaka Gladiators won the toss and elected to bat. Dhaka Gladiators qualify for the final and Sylhet Royals qualify for the semi-final. Chittagong Kings qualify for the semi-final and Duronto Rajshahi are eliminated. Chittagong Kings will qualify for final and Sylhet Royals are eliminated. Chittagong Kings won the toss and elected to field. Dhaka Gladiators are Champions of 2013 Bangladesh Premier League, their second consecutive title. The top five highest wicket-takers (all wicket) in the season are included in this table. ^ "Bangladesh Premier League 2013". cricketwa. Retrieved 15 November 2015. ^ "Results | Bangladesh Premier League". ESPNcricinfo. Retrieved 8 October 2018. ^ "BPL auction today". The Daily Star. 20 December 2012. Retrieved 20 December 2012. ^ "Favourites Dhaka win second BPL title". ESPNcricinfo. 19 February 2013. Retrieved 28 February 2013. ^ "Dhaka Gladiators retain BPL title". The Daily Star. 19 February 2013. Retrieved 28 February 2013. ^ "No Pakistan players in BPL". ESPNcricinfo. Retrieved 17 January 2013. ^ "Pakistan bars stars from taking part in BPL". Wisden. Retrieved 17 January 2013. ^ "BPL 2 from January 17". The Daily Star. 10 October 2012. Retrieved 31 October 2012. ^ বিপিএল এর দ্বিতীয় আসরটা মাত করতে আসছেন মডেল ও অভিনেত্রী আলিশা প্রধান [Sizzling Alisha Pradhan Joins 2nd BPL to excite the Audience in Bangladesh Premiere League] (in Bengali). ^ "BPL Fixtures and schedule". ESPNcricinfo. Retrieved 17 January 2013. ^ "Timings changed for 1 match". Bangladesh Cricket Board. Archived from the original on 27 January 2013. Retrieved 21 January 2013. ^ "Bangladesh Premier League, 2012/13 / Records / Highest totals". Retrieved 20 January 2013. ^ "Bangladesh Premier League, 2012/13 / Records / Most runs". Retrieved 20 January 2013. ^ "Bangladesh Premier League, 2012/13 / Records / Most wickets". Retrieved 25 January 2013.